It’s no accident that John Lordon’s four years at St. Thomas University coincided with the most successful football and hockey programs in the school’s history. Lordon played a pivotal role on both teams and was inducted into the first class of the STU Sports Wall of Fame as a member of the 1960-61 hockey team and later as an individual athlete. A high scorer on the ice, John is also remembered as one of the best football players St. Thomas has ever seen. A versatile player, he played quarterback, halfback, linebacker and defensive back. He was a strong passer, a fast and elusive ball-carrier, a better-than average kicker and a solid defensive player. 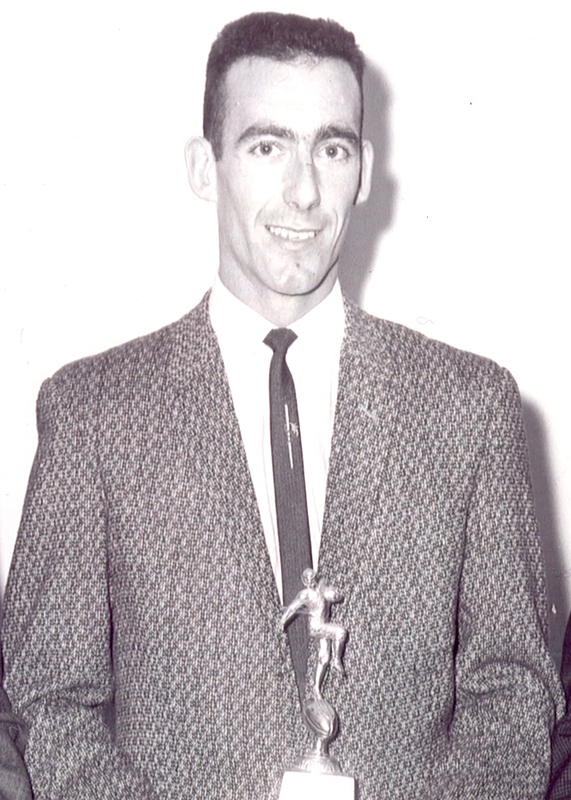 For his achievement on the football field, he was named team MVP in 1961. He is also a member of the Chatham Sports Wall of Fame and the Moncton Sports Wall of Fame.